As of today WordPress powers 28% of all websites globally and even several of the most popular news sites are hosted on WordPress. The main reason for WordPress popularity is its simple interface and limitless customization using themes, plugins or writing your own code. Even if you are not developer you can find plenty of great WordPress tutorials that will help you to build complex web solutions with ease. Personally I used WordPress to learn how to code and that was the best decision I have ever made. However, this time we won’t get into details about theme development but we will dig deeper into WordPress themes. This time I would like to share the best WordPress photography themes as of today. Most of these themes are premium ones but they are worth every penny. I have used them for my client sites and I can guarantee that you won’t be disappointed with results. However, it is possible to ruin even the best themes but I hope that you won’t be able to manage that. Photography, thanks to Facebook and Instagram, have become the most popular form of art. Thanks to these great photography sharing services people are getting into this art a lot more. And of course we can’t forget about iPhone and other smartphones with impressive cameras that allows to capture a lot of images on the fly. While for most people it’s enough with Instagram for their photography needs but there are plenty of people like you who are looking into more serious solution – own photography blog or portfolio website and apparently you want to build it in on WordPress. 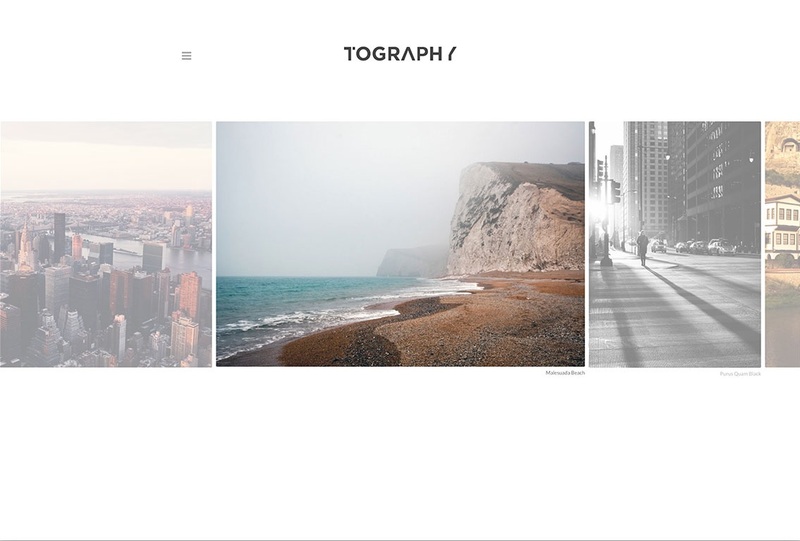 Many photographers that work for Localgrapher use one of these themes and for service like this it’s necessary that partners represent their work in a beautiful way. These are one of the best WordPress photography themes but not the only ones since there are thousands of WordPress theme developers and millions of themes available. I haven’t seen any statistics on how many WordPress themes are available but you can be sure that you will be able to find one that suits your needs. Probably the hardest part will be to choose this one and only photography theme because there are so many great options available. Ok, enough talking and let’s finally get to the theme showcase. I promise you’ll love them! 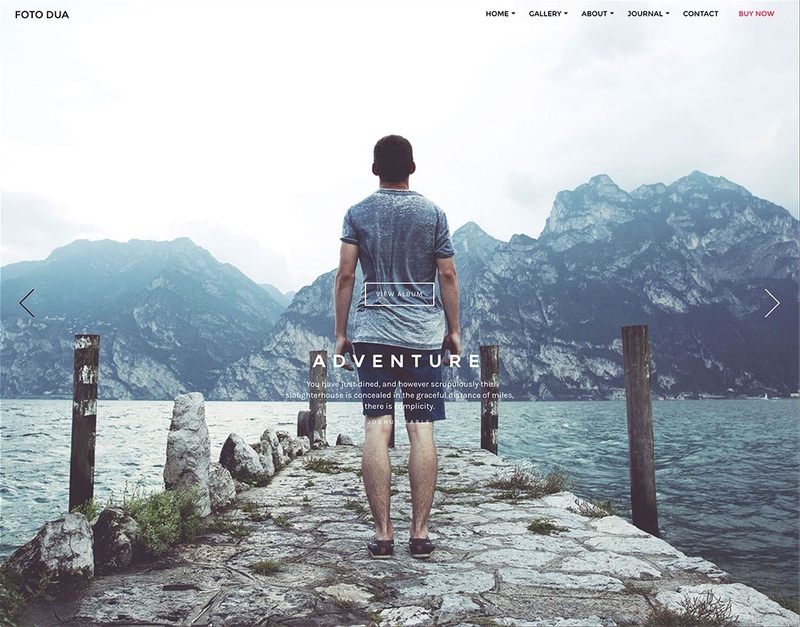 Uncode is a truly impressive, visually vast and stunning, graphically polished and seamless, ambitious and bold, engaging and dynamic, deeply creative and very easily customizable, feature rich and functionally versatile, search engine optimized and fast loading responsive WordPress multiconcept, multipurpose website theme. Uncode is the result of a loving and devoted design and development process that is continuously being updated and expanded, in order to produce a truly pliable, flexible and veritably multipurpose theme that can effortlessly handle websites professional or personal, business or corporate, from blogs and portfolios to landing pages and more, owing to a spotlessly coded Bootstrap foundation with HTML5 resources and CSS3 animation. Along with smoothly integrated plugins like the enhanced Visual Composer, the Revolution and Layer Sliders, WPML and WooCommerce out of the box, makes for a thoroughly coherent and cohesive end user experience that results in users more carefully and purposefully digesting what actually matters—your precious content. With such gorgeous layouts and amazing media handling features powered by a unique and augmented Media Library, Uncode is a perfect theme for showcasing beautiful, high resolution photography, and amateur photographers, professional or freelance photographers, travel journalists or photojournalists alike will invariably benefit a great deal from Uncode’s stylish, fascinating visual approach. 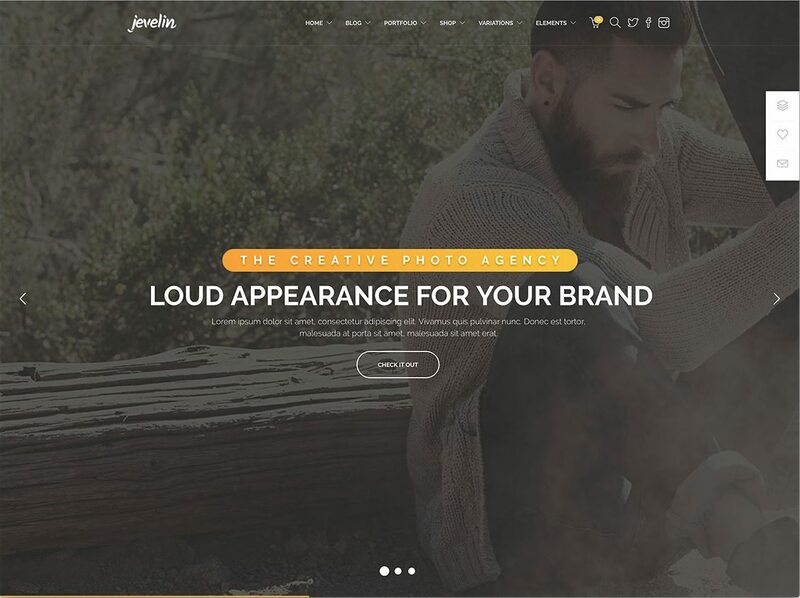 Jevelin is a visually stunning and extremely attractive, engaging and sophisticated, modern and responsive WordPress premium multipurpose website theme. Jevelin is a powerful set of tools for devising and developing awesome websites in a matter of minutes, without having to write a single line of code yourself. Jevelin has been designed to feature the most complete, flexible and reliable assortment of clever widgets, useful shortcodes, elegant layouts and innovative customizable animations available today, all articulated through an entirely visual website building experience free from hassle and deeply user-friendly. With the streamlined page builder and the premium Slider Revolution, eloquent dissemination of your content is Jevelin’s true specialty. Photographers find in Jevelin a perfect partner for sharing their works with the world at large; supple HTML5 coding underpins a media-savvy theme that can handle high resolution photography and embedded video with utter ease and dexterity, while Jevelin’s minutely detailed customization process lets you fine-tune the display of every element within your website and every photography within your showcase, ensuring your precious content is always in exhibition under the most favorable spotlight, so your audience can appreciate your art. Parallax visual effects will make your photography come alive. Check out Jevelin today! Kalium is a beautiful and very expressive, creative and colorful, modern and tech-savvy, highly responsive WordPress creative multipurpose, portfolio and online shop website theme. Kalium is a cleverly conceived and very neatly structured website theme gifted with an ample set of tools and an ambitiously broad aim towards flawlessly presenting visual content to a massive online audience across a multitude of website archetypes, industries and applications, featuring a constantly expanding set of incredibly easy to import demo websites for dozens of specific purposes. At the same time, Kalium incorporates deeply creative features by deploying the premium Visual Composer page builder to empower you to create the layouts and pages you dream of within instants, with a plethora of power plugins and shortcodes to enhance your user’s experience, including the attractive Revolution Slider and LayerSlider. Photographers love Kalium because it gives them the visual freedom they need to showcase their works in just the right style. With impressive portfolio features and configuration options, a lovely masonry style as well as a classic grid and multiple iterations on both, it really is no surprise photography studios and agencies are choosing Kalium more and more to show off their visual works to the world at large. 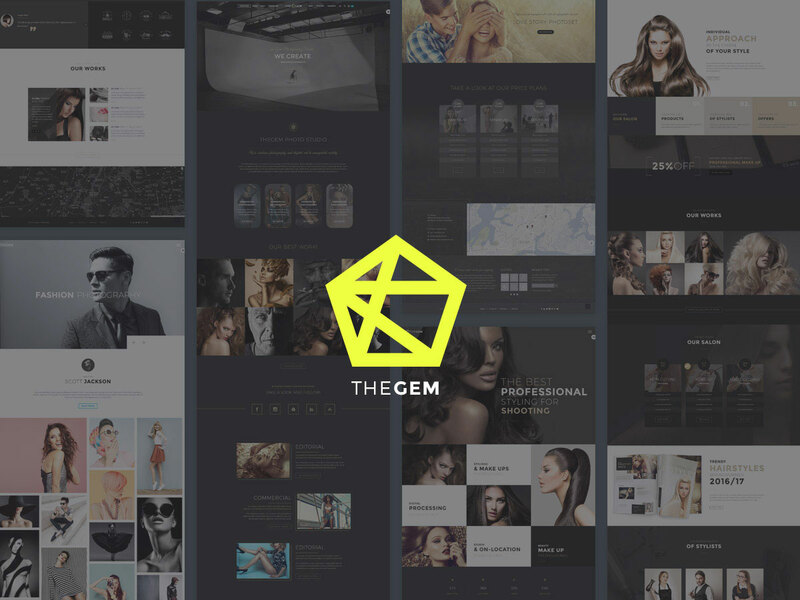 TheGem is a beautiful and enticing, visually stylish and uncluttered, seamless and intuitive, highly responsive WordPress creative multipurpose website theme. TheGem has been developed to service a broad range of industries and fields of interest, with plentiful conceptual demo websites readymade for specific applications with custom-crafted layouts and creatively conceived styling for plugins, widgets, sidebars, headers, footers and much more. TheGem is a fantastic tool for photographers, graphic designers and other creative freelancers or professionals that want an online foothold for their work to be disseminated from, making a positive impression on potential clients and employers by showcasing your visual works in the best possible light. 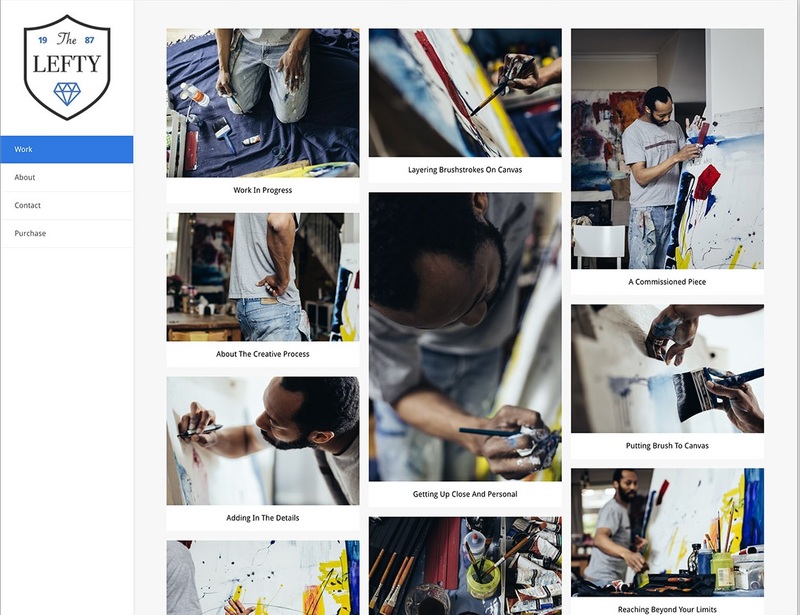 With over twenty different portfolio and gallery layouts, as well as the premium Visual Composer page builder plugin for further layout customizing, creative freedom is the order of the day with TheGem, and dozens of specific, customizable portfolio and gallery settings will ensure your images and high resolution photography truly pop in a most memorable, favorable way. Completely integrated with the WooCommerce eCommerce plugin suite out of the box, TheGem is a competent salesman and can assist you in marketing prints of your works or your professional services right off your website. Try TheGem today! Photocrati is a clean, modern and highly customizable WordPress theme with over 60 style variations out-of-the-box. There are literally endless ways to customize this theme to your needs. Theme functionality, color schemes, gallery style and element size can be tweaked via simple yet powerful theme options. 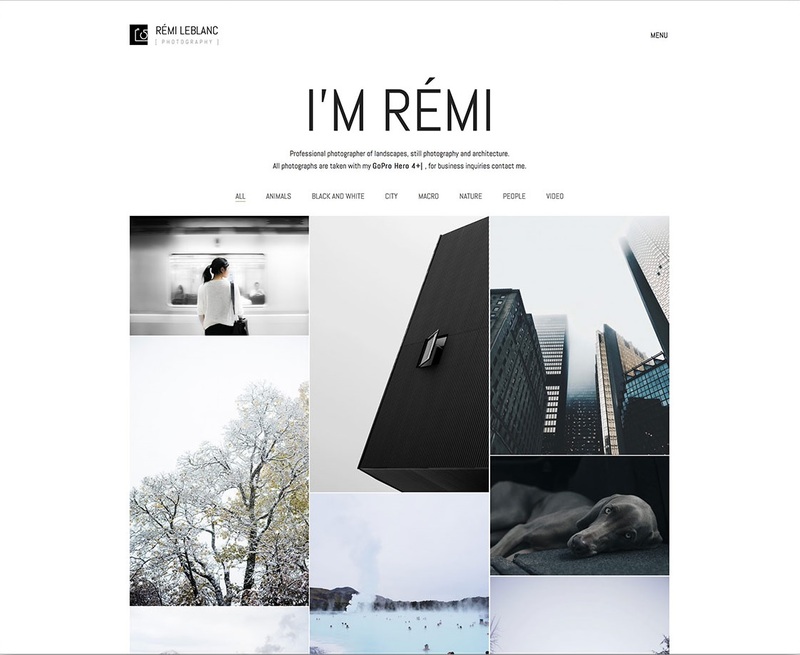 This theme is used by more than 18,000 photographers worldwide and it means that this theme is well tested and will work under any circumstances. Photocrati theme is optimized for all device sizes such as smartphones and tablets. This theme comes with eCommerce integration that allows you to sell your prints, photography or other merchandises. 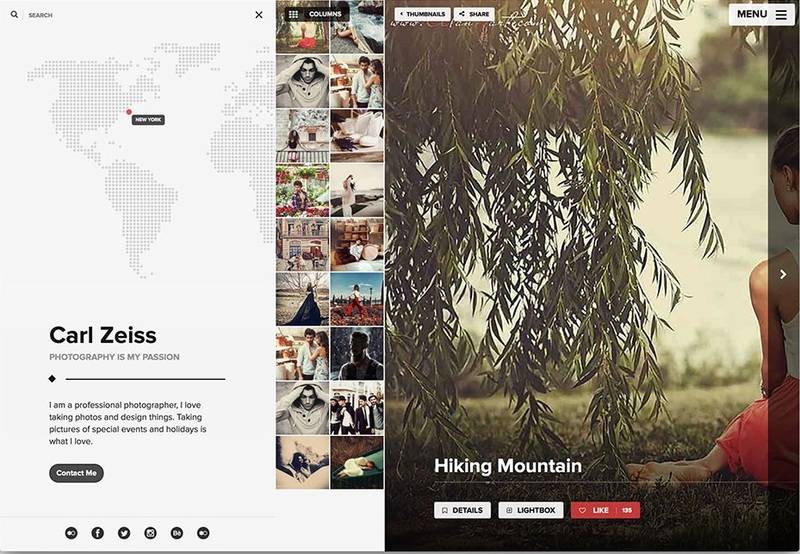 This is the right theme if you are looking for simplicity, customizability, and image-centered design. Tography is a stunning and visually stimulating and polished, graphically eloquent and expressive, incredibly resourceful and feature rich, cleverly coded, robust and reliable, technologically top of the line and astoundingly modern and immersive, highly customizable and extremely easy to use responsive WordPress multipurpose photography website theme. Tography is an attractive and handsome photography multipurpose theme that has been developed with the utmost care and attention to detail, in order to provide a complete, full set solution for webmasters of any skill level to quickly and effortlessly craft their own unique, distinct and visually cohesive photography websites where end users can intuitively navigate their way about gorgeous collections of high resolution images. With a host of photography specific features and options that will make any photography website come alive in a matter of minutes, without ever having to write a single line of code, through a completely visual webpage construction process that is aided by extensive, ambitious and plentiful shortcodes to simplify and streamline your workload, so you can focus on what matters–adding more of your precious content for users to delight themselves with! Tography websites are unique, high impact and very memorable, and no theme will burn your photographies into your visitors’ minds like Tography. Moon is WordPress theme that aims to enhance and improve your creative website. Blogs and portfolios can be optimized by a series of useful website tools. Customers can easily showcase their videos, audio files, and photos. Moon can increase your page’s flexibility, and free you from having to sit in an office for the entire day. You will be able to work, even while traveling. The theme is completely responsive, given that it can display your site on mobile devices such as tablets and smart phones. You will never lose the ability to upload edited or unedited photos, write posts for your blog, distribute your items, or manage your page layout. This theme was constructed by an elite author, and it has earned the praise of those who have bought it. Customers will be rewarded with a series of free updates, and a support system that never fails to resolve troubling issues. Moon allows you to showcase distinct textures and colors for your site’s main panel. This is will aid in the presentation of your beautiful content. Those who don’t mind a little reading can access the theme documentation file, which is quite informative. Gif snippets and video tutorials were included as well. Total is a full-featured and tech-savvy, creative and competent, robust and visually stunning, highly responsive WordPress multipurpose website theme. Total is a reliable platform for quickly and effectively putting together modern and functional websites that can satisfy the needs of webmasters within a multitude of industries, interests and subject matters. Total is built on advanced web development technologies including HTML5 multimedia-savvy coding and smooth and fluid CSS3 scripting, as well as the mobile-friendly design underpinning an absolute browser and device cross-compatibility which greatly expands your audience and allows you increase your traffic and revenue overnight, as does extensive SEO enhancement. Total is a fantastic tool for photography websites, from professional freelance photographers to studios and any other kind of specialized website dedicated to high resolution imagery. Total is fit for showcasing your photography in multiple layouts and styles you can effortlessly fiddle with, through the incredibly potent Theme Customizer as well as the built in Visual Composer, Revolution Slider and Layer Slider, Total always shows your content in the best possible presentation. Packed with convenient social media sharing features, Total is ideal for promoting your website and your visual content to the world at large. Try Total today! Nextop is a stylish and bold, colorful and classy, professional and polished, readily responsive WordPress elegant multipurpose website theme. Nextop is a uniquely visually eloquent theme that has been designed specifically for the needs of webmasters dabbling in the creative and artistic fields. With a clean sense of aesthetics, Nextop empowers webmasters to handcraft gorgeous, powerful websites in a matter of minutes, regardless of previous coding or development experience, and with an impeccably professional, finished feel. 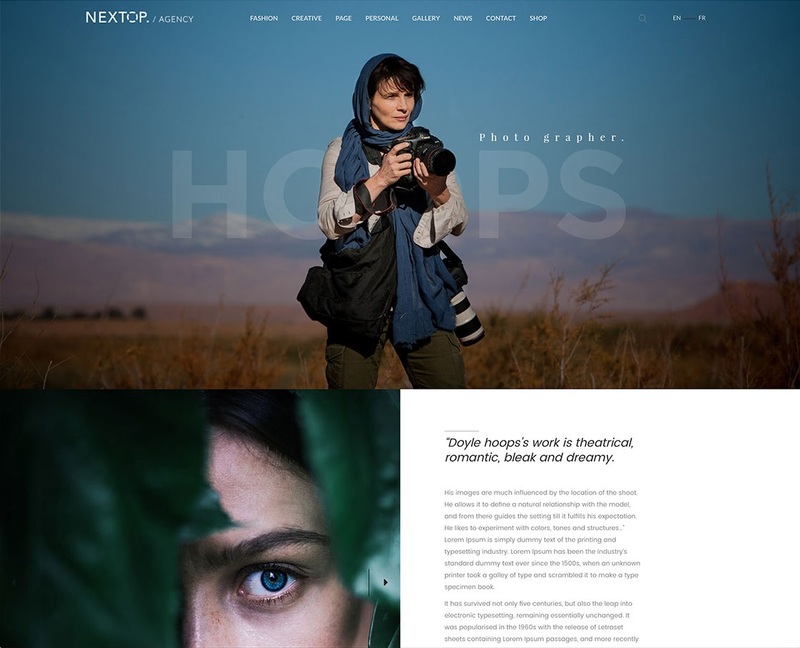 Nextop is perfect for photography websites, photography magazines, photographic studios and all similar, related website projects. With Nextop, handling sophisticated, cutting edge image galleries with a myriad immersive, amazing options is an easy, breezy task, and with the built in Visual Composer, Master Slider and Contact Form 7 premium plugins, Nextop can accomplish just about any visual styling or customization you can dream up. 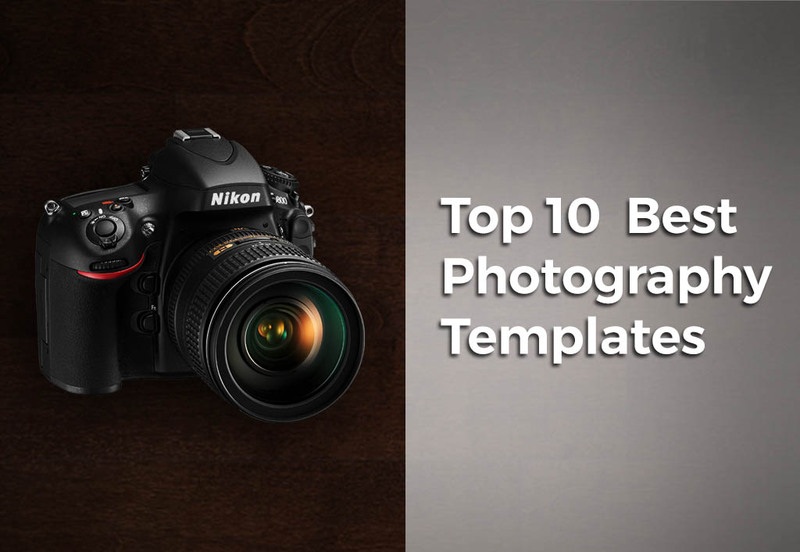 Engaging, professionally graphically designed templates have been packaged with Nextop, including amazing photography portfolio website templates that make your high resolution photography shine under the most favorable light. With Nextop’s proficient eCommerce capabilities powered by WooCommerce, marketing your works or services to a massive, undifferentiated online audience is now a walk in the park. Try Nextop today, and impress the globe!